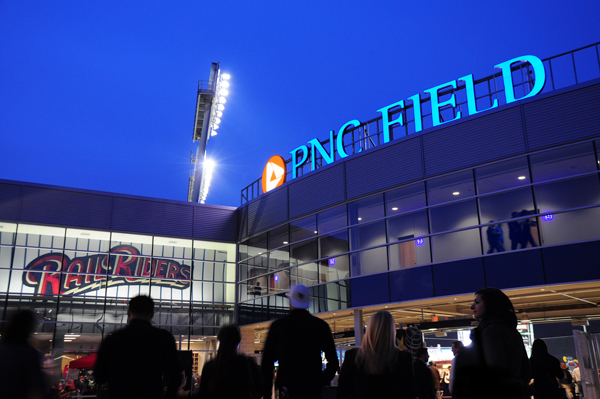 The firm recently debuted a comprehensive signage and graphics program at PNC Field in Lackawanna County, Pennsylvania, home of the Scranton Wilkes-Barre Railriders, the New York Yankees Triple-AAA affiliate. 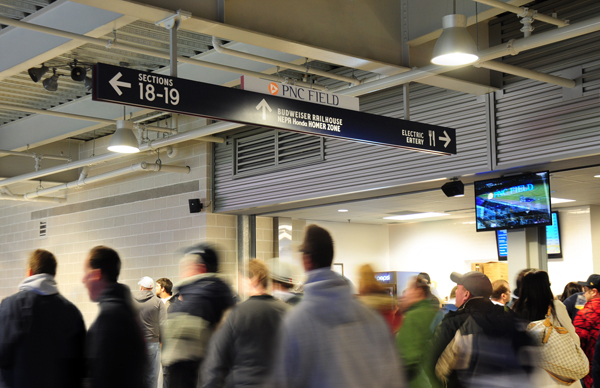 The sign system builds off of C&G; Partners' bold, minimalist designs at Yankee Stadium in the Bronx, scaled to the more intimate minor league setting, with comprehensive graphic standards and PNC Bank branding set tastefully throughout. 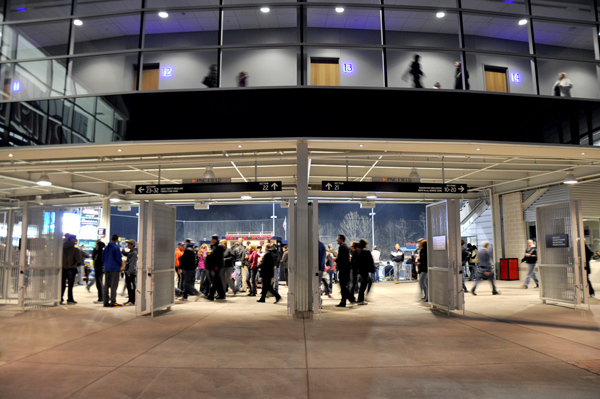 Emphasizing robust community and small-business sponsorships and local spirit, Phase One opened the Ball Field on schedule and well within budget allocations for the sellout Home Opener. 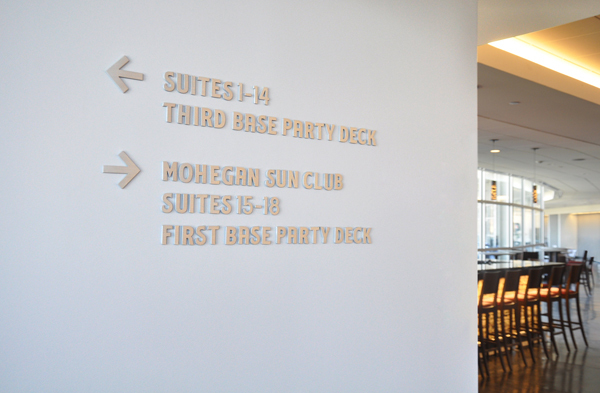 The sign program also emblazons the stadium's private suites and on-site Mohegan Sun Club, while Phase Two will realize an interactive media timeline display highlighting past, current and future milestones of the Yankees’ premier minor league affiliate. 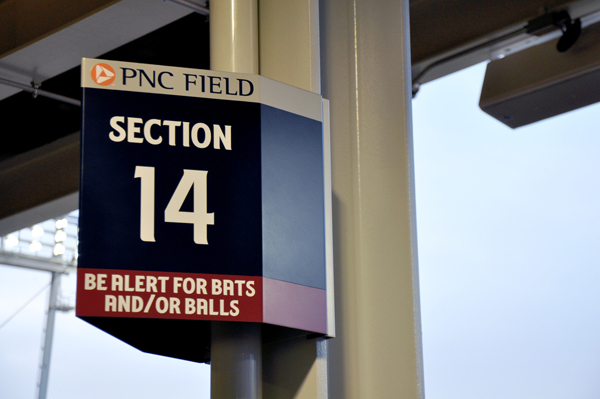 This project was completed with frequent architectural collaborators, EwingCole, Legends, and forged a new creative partnership with Mandalay Baseball.